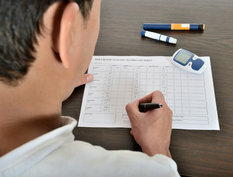 The perception of diabetes, and the impact it has on health, greatly differs between people living with type 2 diabetes who are uncontrolled on basal insulin and physicians, a new study has revealed. The findings, taken from the Perceptions of Control (POC) study, also revealed that patients report a broader definition of control of their disease vs. physicians. Overall, people with type 2 diabetes had a broader definition of control than physicians, perceived greater obstacles to maintaining control and reported that life was impacted significantly more than physicians expected. In the POC study, more physicians defined control by frequency/severity of hypoglycaemia (93% vs. 69%), complications (89% vs. 75%) and HbA1c level (85% vs. 79%). The definition of control for people with type 2 diabetes was much broader than clinical measures and included energy levels (75% vs. 33%), predictably of life (72% vs. 29%) and how much they think about their condition (68% vs. 31%). People with type 2 diabetes perceived more lifestyle obstacles to achieving control, including stress (75% vs. 54%), family obligations (61% vs. 33%) and a lack of patient support groups (56% vs. 11%). Additionally, the time period in which physicians and people with type 2 diabetes thought about control reflected their respective definitions. More physicians thought about control in the terms of the past three months (60% vs. 19%) – consistent with the period for measuring HbA1c. However, more people with type 2 diabetes considered the last week or even more recently (51% vs. 7%), as they focused on the impact of the disease on their daily lives.